On my recent visit to New York City, I visited the Metropolitan Museum of Art as I always do. 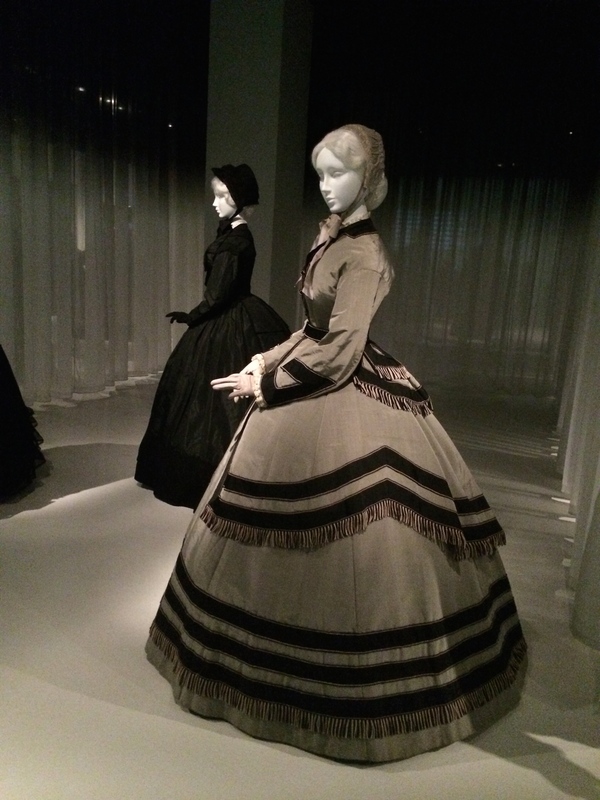 As I planned my visit, I was most excited to explore the exhibit “Death Becomes Her – this Costume Institute exhibition explores the aesthetic development and cultural implications of mourning fashions of the nineteenth and early twentieth centuries.” After working with young widows for almost 2 decades, I was curious to see what the exhibit entailed and what the response of the attendees would be. From the outset, the exhibit captured my imagination. It is located down a wide, white and brightly lighted flight of stairs setting a portrait of warmth creating curiosity of what is around the corner, where the light turns to dark portraying high-fashioned black ensembles. As I walked down the stairs, I wondered what it would have been like to be widowed between 1815 to 1915. How would I feel wearing black for a year, signaling my loss to the community and allowing them to provide support when needed? This stands in stark contrast to our current culture, where we bury our loved ones and wake up the next day as if it was just other day dressing in our daily clothing. Only in our sad faces and hidden, broken hearts would anyone around us know we are in mourning. Not only was I captivated by these beautiful ensembles, I was equally taken back by the beauty of the mannequins chosen for the exhibit. They were all “young, beautiful and poised” as opposed to old and frail. While most visitors experienced a time in history and learned about mourning attire, I found myself looking through the lens of my young widowhood remembering the early months of trying to find two socks of the same color. Would mourning clothes today help comfort us? Are we missing a sense of etiquette and deliberateness in our modern grieving process? Grief is our passage to understanding both the love and loss associated with a death; and choosing to wear an outward sign of our grief could inspire those closest to us to be more patient with our grieving process. I liked your observations Rachel. As we have become a less formal society we have dropped quite a few of the exterior protocol signals. I no longer wear white gloves and a hat to church like I did as a child. My wardrobe is not divided by categories, it all blends together. Customs and colors don’t seem to have the relationships that they once had. I wear red to funerals.